We were in Liverpool on Monday, the last Bank Holiday until Christmas. 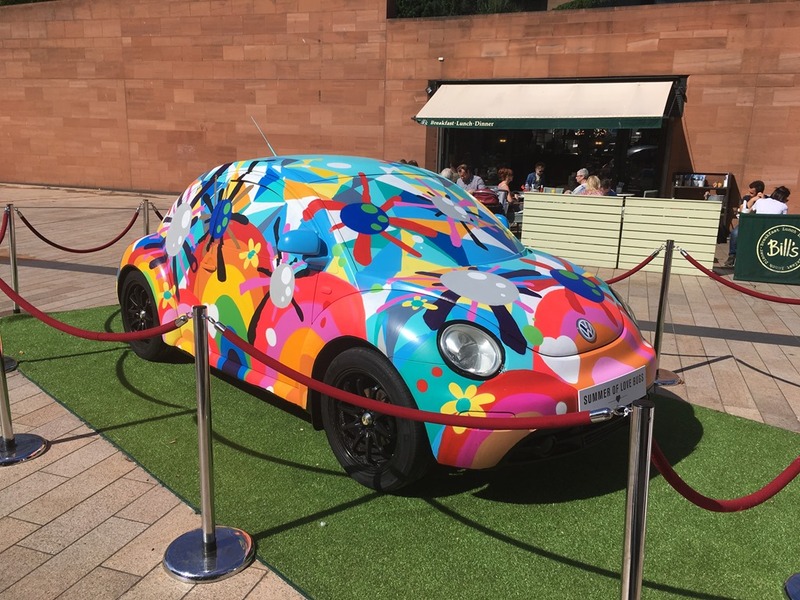 It was a warm sunny day and while we were strolling through the Liverpool One shopping centre we spotted this rather jazzy Beetle. 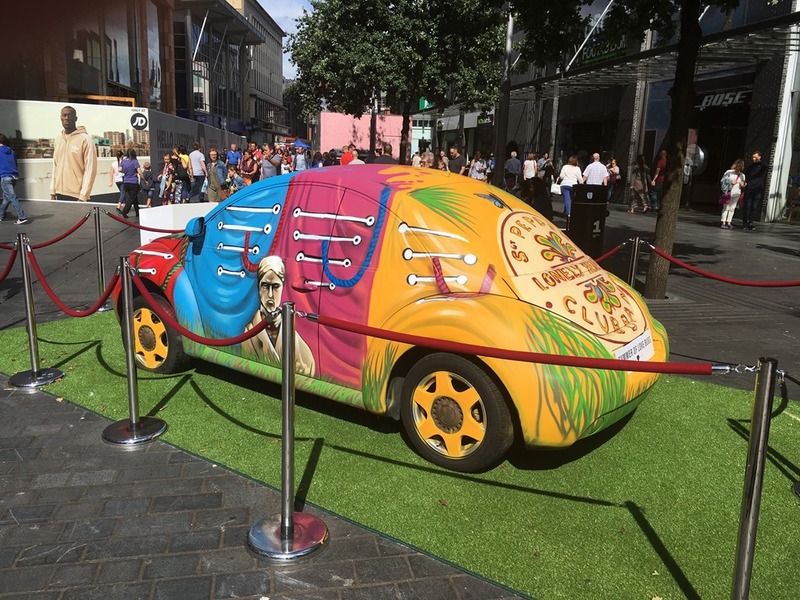 Liverpool never misses a chance to take a collection of objects, paint them up with different designs and leave them in strategic locations around the city – all starting with the 125 two-metre-high Superlambananas during Liverpool’s Capital of Culture celebrations in 2008. So this looked like it might be another series. Not quite. 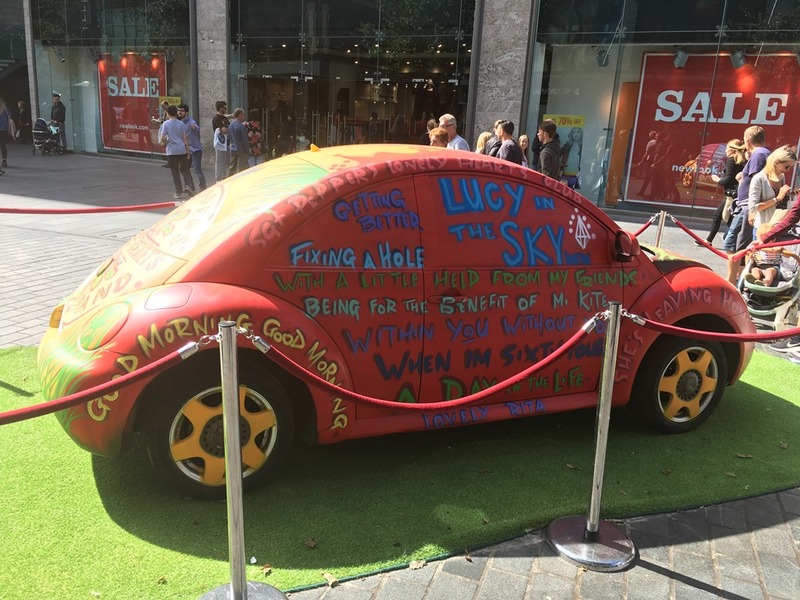 In this case there were only 3 VW Beetles that had been decorated to celebrate the 50th anniversary of the Summer of Love, when 100,000 musicians, artists and hippies flocked to San Francisco’s Haight-Ashbury district. 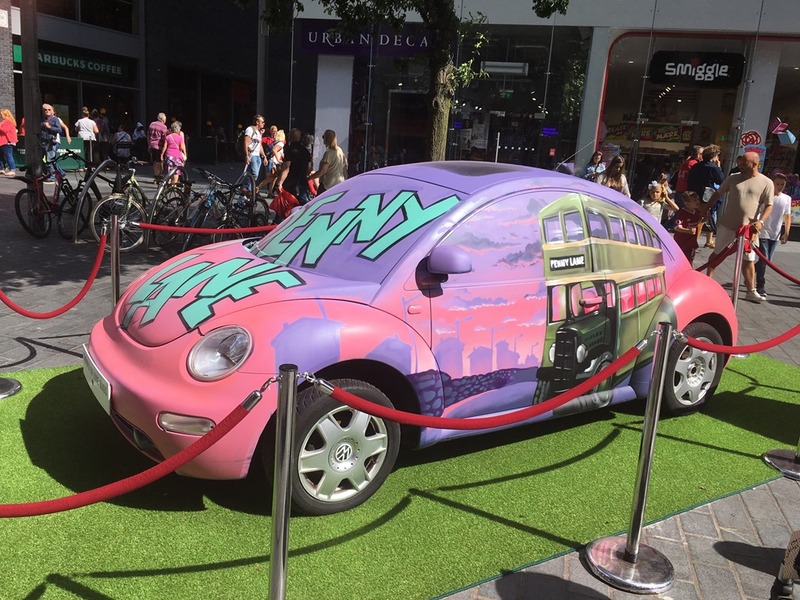 Three artists had been commissioned by Liverpool One to create images on the cars. 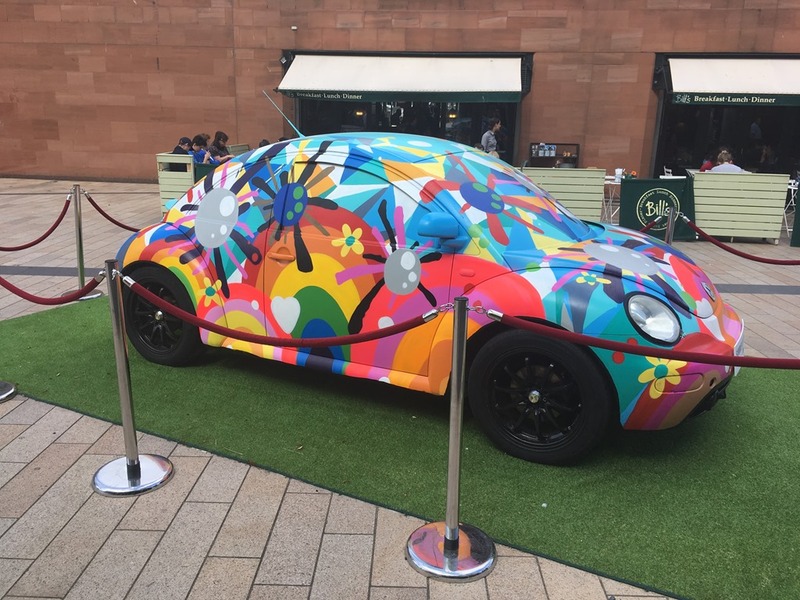 The first one we saw, on Thomas Steers Way, was painted with a psychedelic design by Kieran Gorman from Zap Graffiti. 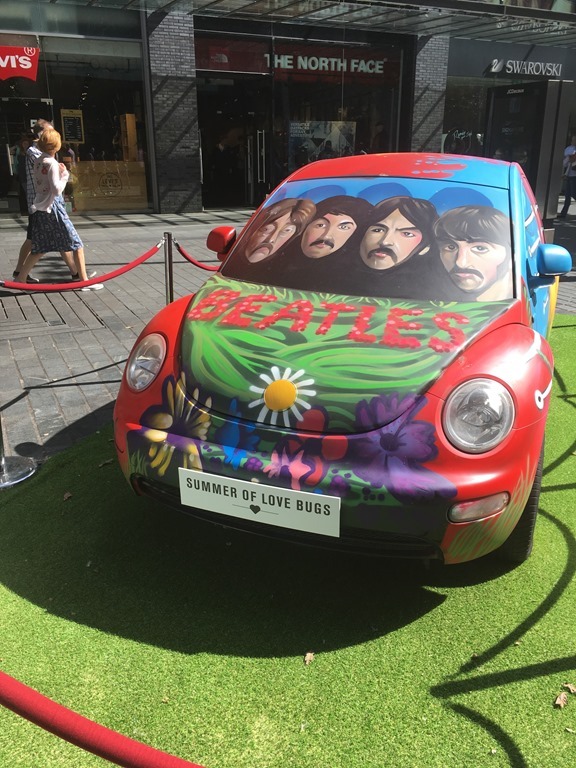 The other two cars, both on Paradise Street, were painted with Beatles related themes by Krishna Malla . 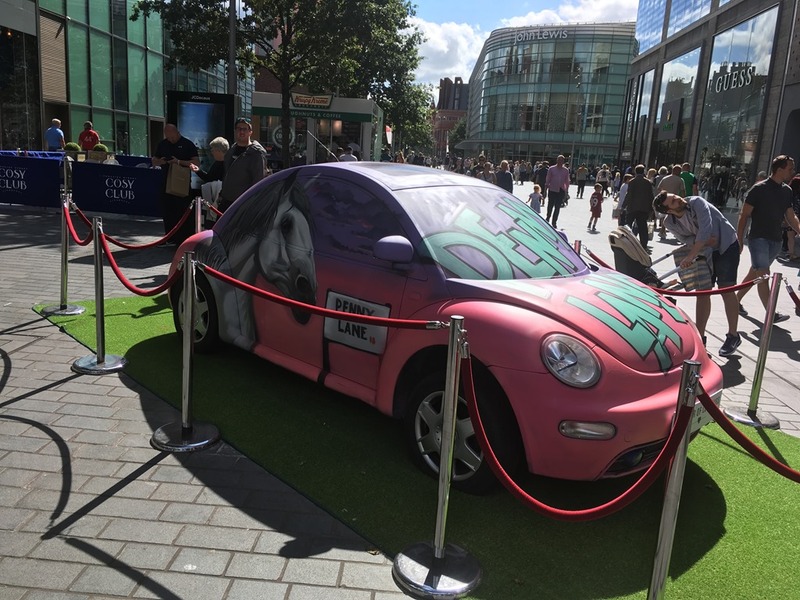 One based on the Beatles song, Penny Lane, selected following a vote for the Liverpool public’s favourite song from 1967. I lived near there for a year when I was at University. I loved the green Liverpool Corporation buses – but they all went when the “deregulation” was enacted by the Thatcher regime. Now all the local colour of municipally owned bus companies has gone, replaced by the 2 or 3 national monopolies with their uniform liveries across the country. 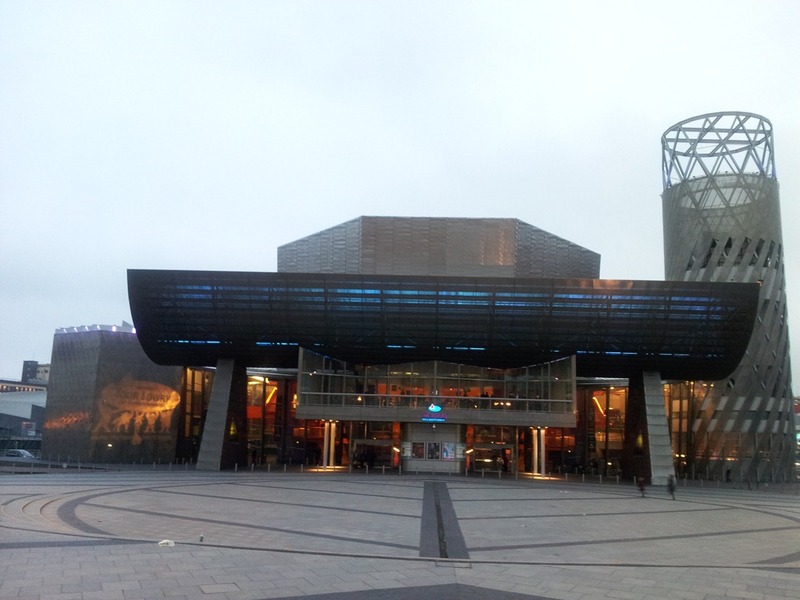 I hadn’t been keeping an eye on what was going on at the Lowry at Salford Quays. 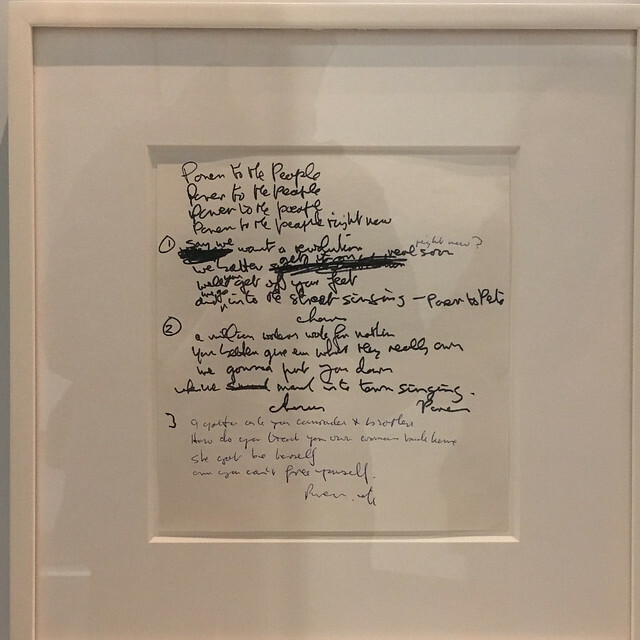 But when I spotted in a post by John of Notes to the Milkman that they were showing an exhibition of works by Peter Blake inspired by pop music, Peter Blake and Pop Music, I thought I should get along before it finishes at the end of February. 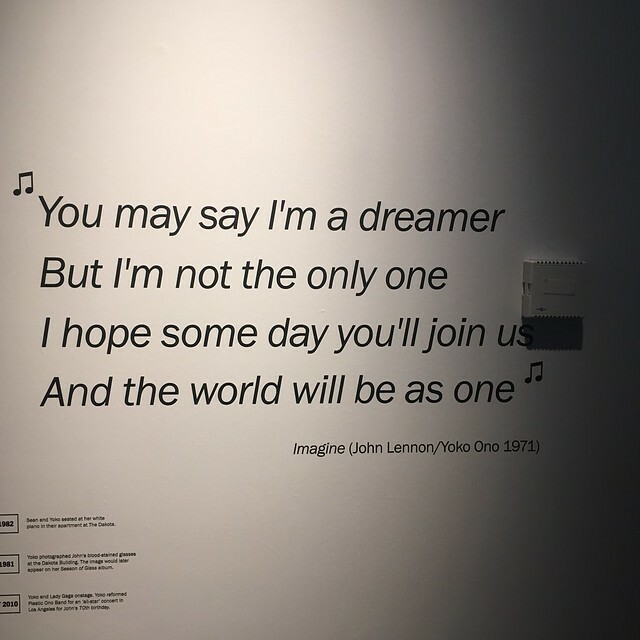 So we drove over to Salford Quays last Saturday and called into the Lowry to take a look at the exhibition. To be honest, I didn’t know that much about Peter Blake’s art. 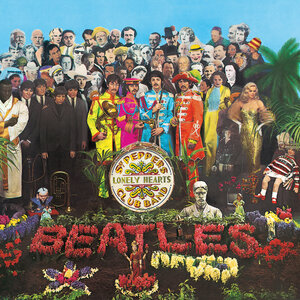 I guess’ like most people I’m mainly aware of his iconic design of the cover of the Beatle’s Sergeant Pepper album. 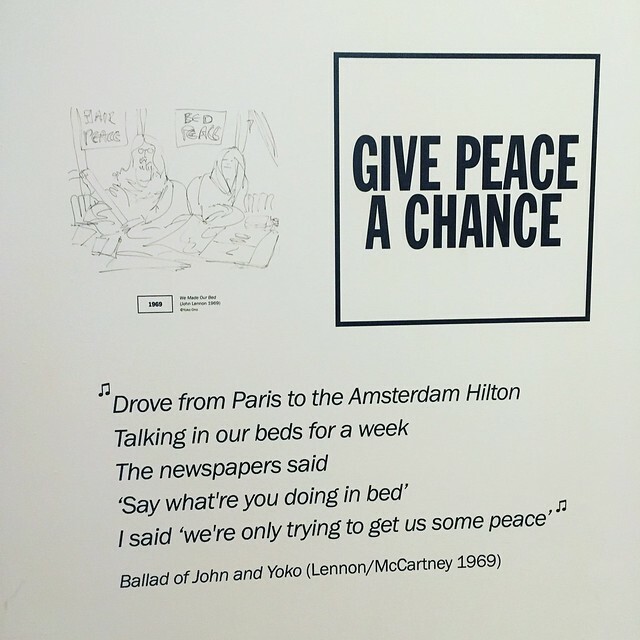 And, of course, that featured in the exhibition. I was also aware of his cover design for another album I own, Paul Weller’s Stanley Road. 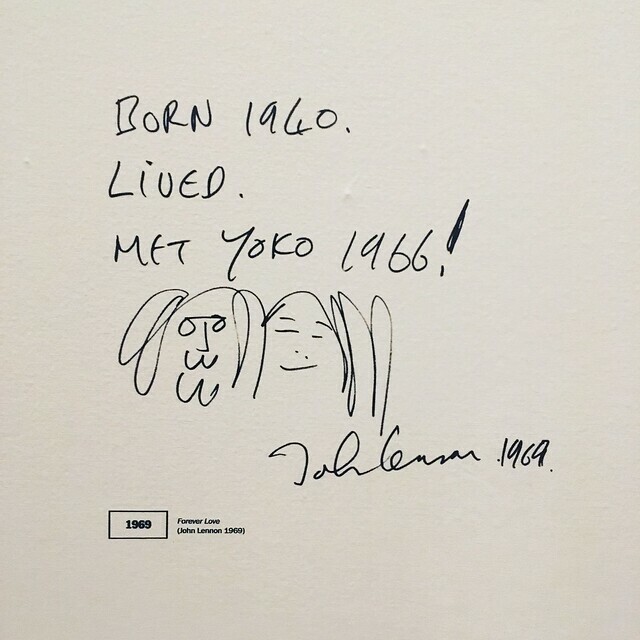 Blake has worked closely with some of the most influential musicians of his generation, most famously co-creating the iconic album cover for the Beatles’ Sgt Pepper’s Lonely Hearts Club Band. In more recent years his designs for albums by Paul Weller, Eric Clapton and Oasis are equally celebrated, and are shown here against a soundtrack of killer pop music. 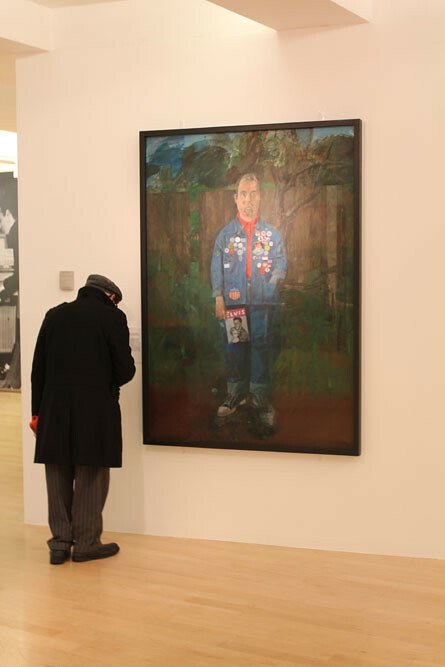 Peter Blake is a true fan, and this exhibition is a compelling tribute to one of Britain’s most important artists. The first picture you see on entering the exhibition is his Self-portrait With Badges (1961), featuring the artist wearing his denim jeans and a denim jacket covered with badges, wearing Converse trainers and holding an Elvis album. 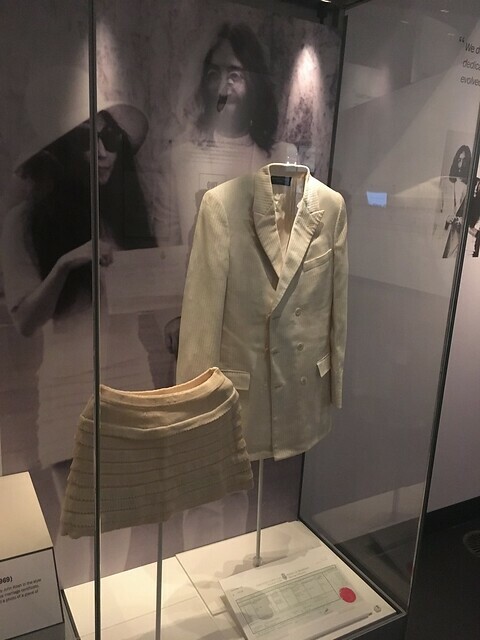 Moving round the exhibition space, there were pictures and collages inspired by performers he admired, including several featuring Elvis Presley– Blake was clearly a massive fan. A number of these works were collages and mixed media incorporating “found objects”. There were a number of references to Marcel DuChamp who was clearly a major influence on his work. One of my favourites in this section was his oil painting on wood and mirror glass featuring Lavern Baker. I also liked his print of Chuck Berry in his trademark “duck walk” pose. Blake had incorporated diamond dust into this print and he’s used this in a number of the other works on display. 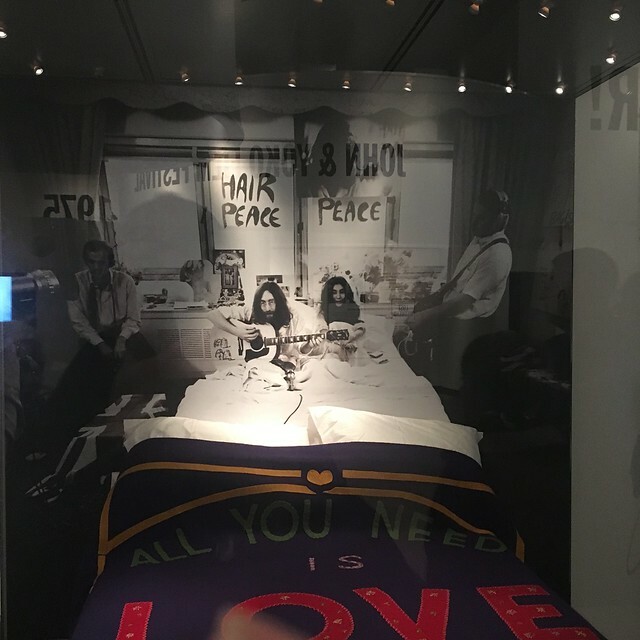 One room featured prints and paintings of his album art and items related to the Beatles and the Sergeant Pepper album cover. It’s hard to believe that he only received a flat fee of £200 for his design. 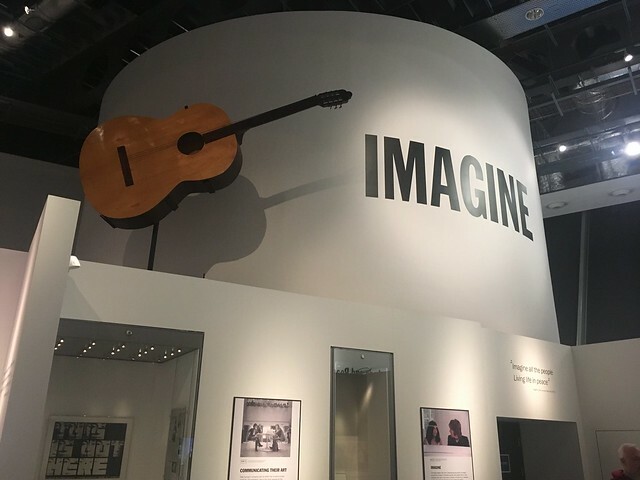 Of course that was a significant sum in the late 1960’s, but given the number of sales of the album I couldn’t help but feel he’d been treated badly. Another rock artist Blake was connected with was Ian Drury, who’d been a student of Blake at Waltham Forest College. 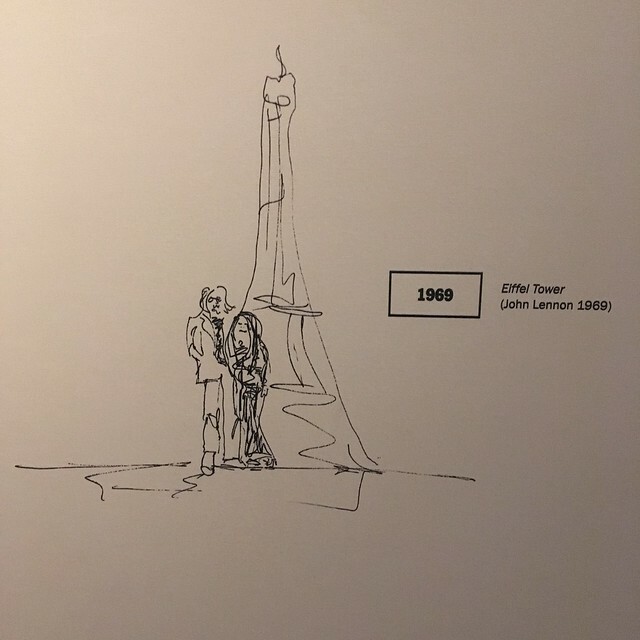 The two became friends and Blake produced album covers for him and painted his picture. 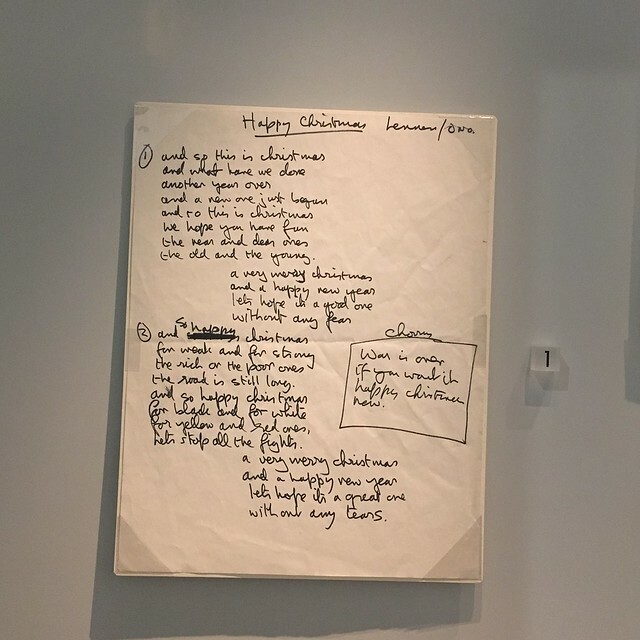 Dury wrote a song in honour of Blake – “Peter the painter” – which featured on his album, “4,000 Weeks’ Holiday”. No photography was allowed, but he gallery have Flickr site which includes a set of pictures from the exhibition (including the above photograph). 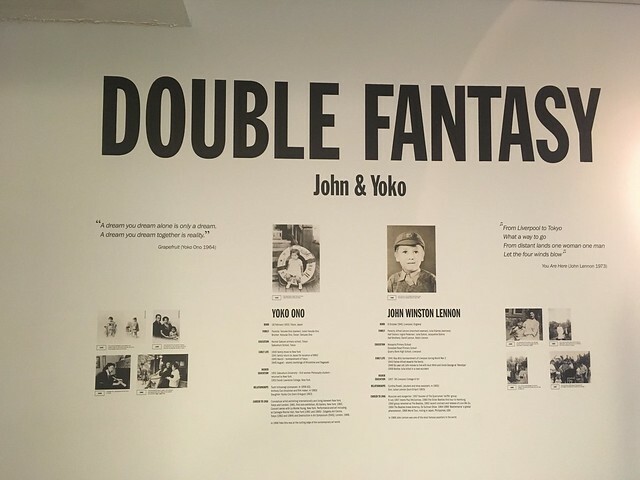 I’m glad I found the time to go over to see this exhibition. 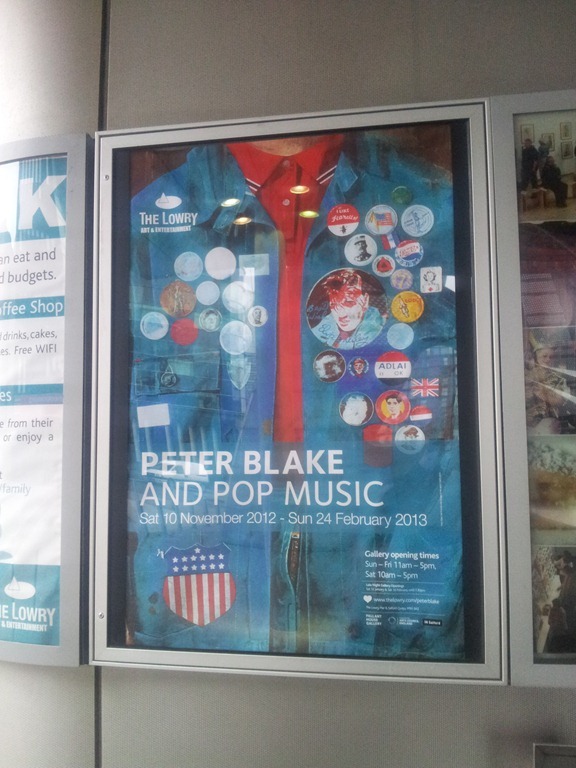 Peter Blake is an important British artist and this was a good opportunity to see some of his work. And as a music fan myself, I the themes certainly resonated with me.